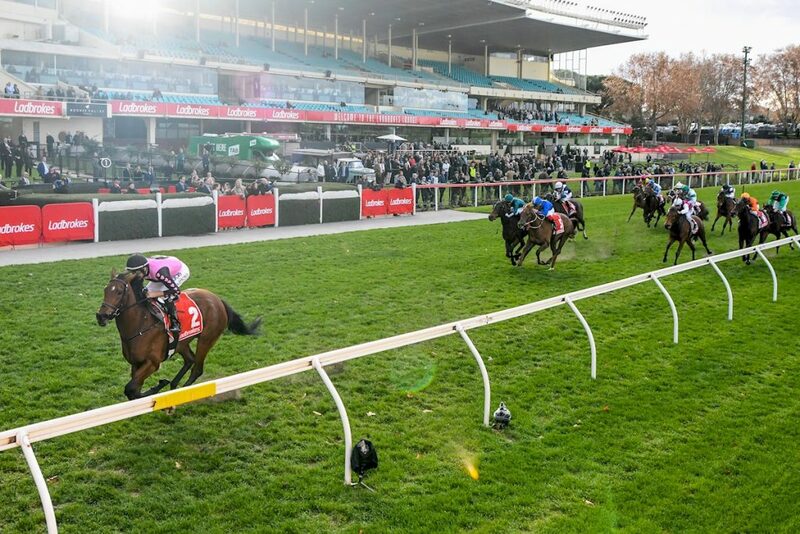 A Victorian homebred filly may well be the next sprinting star if her dominant win at Moonee Valley on Saturday was any measure. Victorian owner/breeders Todd and Sue Lichti, along with Bendigo trainer Shaun Dwyer have lofty plans in mind for Miss Leonidas (I Am Invincible) after her explosive win over 1000 metres. Having required patience and time to mature and hone her raceday manners for her real talent to shine, Todd Lichti believes that they may now be finally getting on top of things and she is now showing others the supreme talent Dwyer sees of her at home. “She can be an overly aware filly and a little bit sensitive, but Shaun has started to win the battle to get her to relax in her races. But we are getting there, she may still be a work in progress, but she has come so far this prep alone,” Lichti said. The three-year-old’s victory was quite exceptional, racing away to a six-length win, with plans now on the table to look at gaining some black type in her spring campaign. However the big target at this stage is the Group 1 Black Caviar Lightning Stakes at Flemington in the autumn, a race Dwyer won in 2004 with Regimental Gal. For now, Miss Leonidas has earned a good spell, heading to Fulmen Park to make use of their water walker, before a good six weeks break in the paddock. The Lichtis bought Miss Leonidas’ dam Happy Play in foal to I Am Invincible in 2014 for a mere $10,000. The dam was originally bred by David Kobritz’s Musk Creek Farm operation. “The sire was still at his entry-level service fee so, in hindsight, it was an astute purchase as we rightly thought he was a stallion on the up,” Lichti said. After a few seasons of bad luck with Happy Play, she is now currently in foal to Three Bridges’ now deceased sire Unencumbered. Lichti has indicated that having already had 13 foals, Happy Play will probably not go to stud this year. “Shaun has done a terrific job handling Miss Leonidas, and we have become good friends now over the years. He has shown a lot of patience to bring the best out of her, and even though he has always had a tremendous opinion, it has been his proper management that has progressed us this far,” Lichti said. Todd and Sue have a small group of four broodmares based in Nagambie and a couple more residing in New Zealand. “We have a very nice Fiorente weanling colt on the ground from an Octagonal mare, and a Rip Van Winkle yearling colt that we have given time to mature. We only had one foal last year unfortunately with a couple of things not going to plan, but we will try again this year,” Todd said. Their greatest breeding success to date is Villa Verde – another situation where Todd Lichti cleverly bought her dam in foal for a similar amount of money. 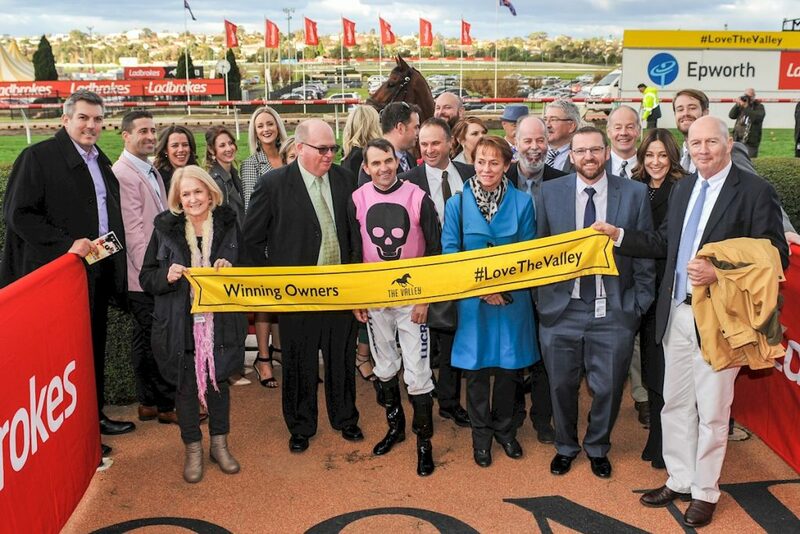 “We sold Villa Verde as a yearling at the Inglis Premier sale to Shaun Dwyer, which is how we met. She won her first two races at two, both listed at Flemington and Caulfield, before being runner-up in the Group 2 Reisling,” Lichti said. The Lichtis were also in a partnership with Hillside’s Peter Arvanitis and Swettenham’s Adam Sangster which bred Group 2 Percy Sykes Stakes winning 2YO filly Pure Elation. In the Snowden stables, the very talented grey filly is being aimed at the Group 1 Coolmore Stud Stakes this coming spring. Wise Hero (Kaphero) is another that can be attributed to the Lichti breeding operation. The John Price trained 4YO has won at each of the Melbourne metropolitan tracks for earnings of more than $330,000 with still much of his career in front of him having only had 11 starts.